I got this a few weeks ago and spent one evening last week flicking through it, some of the recipes look brilliant, has anyone tried any? I've got millions of vegan cookbooks and I've totally read them all and been delighted. Why would I want to spoil the illusion by trying to actually cook something from one of them?! Seriously though Firestorm, you go for the most interesting recipe and let us know what you think. It's good that there are so many vegan cookbooks around. Will do, it will probably be during/after Christmas now - I was going to make something today but I have only just sat down! I just bought this cookbook, how have you found it? It looks great, but just flicking through it looks very Americanised... which may confuse me at first but I guess I'll get used to the weird names. 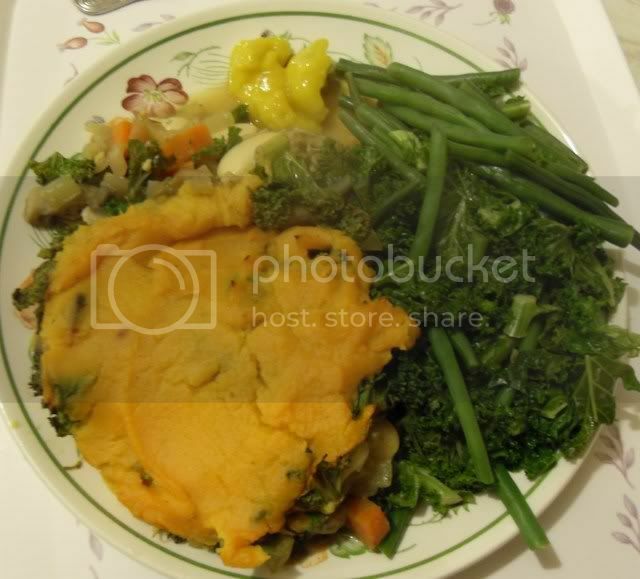 I've found it OK, so far I've made Sweet Potato and Edamame Shepherds pie (pictured below with some substitutions) and some of the seitan I think. Both turned out quite well, but I found myself overwhelmed with recipes, I actually don't think I've finished reading through them all yet! 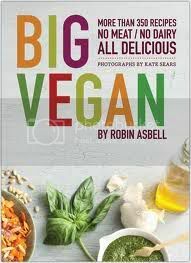 I just got this book on ebook from the library, I haven't finished flicking through it yet but some of the recipes look good. Has anyone tried the cheeses fermented with acidophilous? I made the watermelon and tomato salad with basil in the summer. I thought it was far too sweet. I would have put maybe 1tbsp of agave instead of 3! I made the sweet potato edamame shepherd's pie the other day, and it turned out great. I added some sage and thyme, salt and pepper before baking though. It was my first time trying edamame. I would definitely make this again! I would add some gardein chick'n next time or maybe some tofu for more depth. I made the japanese okonomiyaki pancake yesterday. It stuck to the pan when baking, because I didn't have a springform pan and I forgot to grease it.. so it was more like an omelet. Also, I hate shitake mushrooms and the recipe called for them so perhaps I didn't enjoy it more because of that. Otherwise, great japanese recipe and the wasabi mayo was divine. I would make this again but I'd probably attempt to fry them instead of bake in the oven. I made the potato leek soup today. It was so delicious. I did add a bit of oregano and basil and some sage as well as more salt and ground pepper. I omitted the parsley and scallions. It was something I would make again in the future! highly recommend. ^I'd never had it before ! I just remembered - Spicy nachos! The recipe in this cookbook is so authentic! I made it a while ago. Next up is the Saag Paneer,sometime in the next couple days. Saag paneer was a complete waste of ingredients. I don't know what went wrong! I haven't given up on this book though - tons of recipes and most of the ones I've tried are good so far. This book has a recipe for vegan Paneer? ^Yes! It has a lot of ethnic dishes, actually! It was too bad the paneer didn't work out.